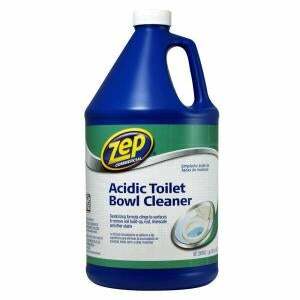 I got tired of scrubbing the stains out of the toilet so I tried this stuff. Best $10 I ever spent. Last time I did serious cleaning I was using scouring pads and sandpaper, and it took like half an hour to get the toilet clean. With this stuff you pour it in, let it sit, and then come back later and brush everything clean. Of course, being a typical man I didn’t bother reading the directions. I poured some in and then went to work. The directions say to leave it for 5 minutes. Oops. It also worked great on the stains in the bathtub, something the instructions say not to do. Double oops. The metal drain looked like new, cleaner than I’ve ever seen it, but not surprisingly the instructions say to keep it off metal fixtures - triple oops. But whatever - everything is nice and clean and looks great (and smells minty fresh), and at this point I wouldn’t hesitate to use it the same way in the future.